With the festive rush behind us, we can now take a deep breath and dive into 2019. January is a great time to do some business planning! The age old saying, “If you fail to plan, you plan to fail” is a good reminder of just how important it really is. When you think of the year ahead, are you filled with dread of the continued rat race, or with optimisms about all the exciting opportunities the year will bring? Planning most definitely will help overcome any dread and fill even the most cynical business owner with optimism. Trust us on this one. What do you want to achieve this year? 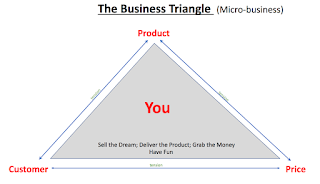 Is your business where you want it to be? Are your staff aware of the goals and where the business is heading? What are all the critical actions on your “Should do” list, that you just haven’t got around to, and its holding you back? We asked our SBMS Business Mentors to share their business-planning pearls of their wisdom with the trader community. Tony DeStefano suggests to think of a business plan as a flight plan. "If you are flying to Brisbane tomorrow, you'd like to think the pilot has a flight plan. 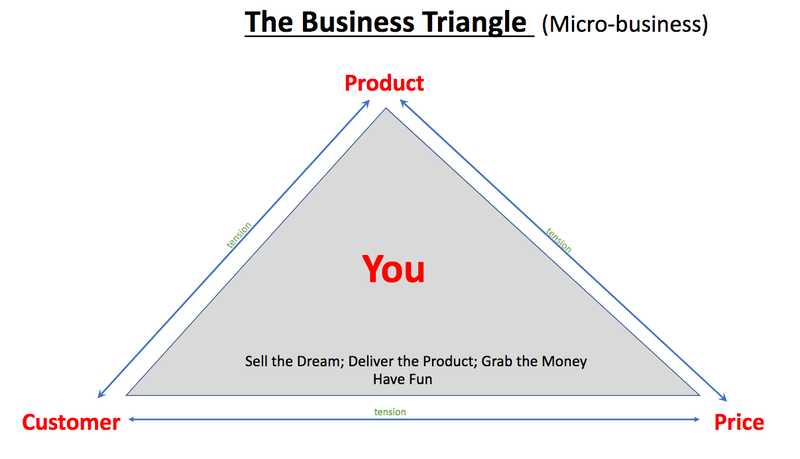 And of course along the way, Sell the Dream, Deliver the Goods, Grab the Cash and HAVE FUN.”See Alan’s Business Triangle model below. Keith Hinson suggests every business needs a sound Business Plan that helps to navigate the ups and downs of business ownership. Once created, the plan should be used as the guide to keep the business on track with clearly defined goals, timelines and contingency plans. 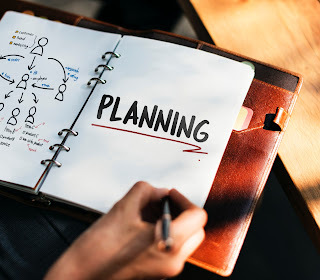 “It is important though, to realise that the Business Plan is a dynamic document – as the business changes, so the plan must change accordingly. …. to keep the business moving forward” says Keith. John Bostock suggests that traders work out their Daily Cost Of Doing Business. It is a very simple exercise and makes the business include a wage as well as the other fixed costs involved. Many traders just live on what they get in each day without provision to pay running costs from cash takings. Knowing your numbers means you can plan ahead for the year regarding costs and then pricing. 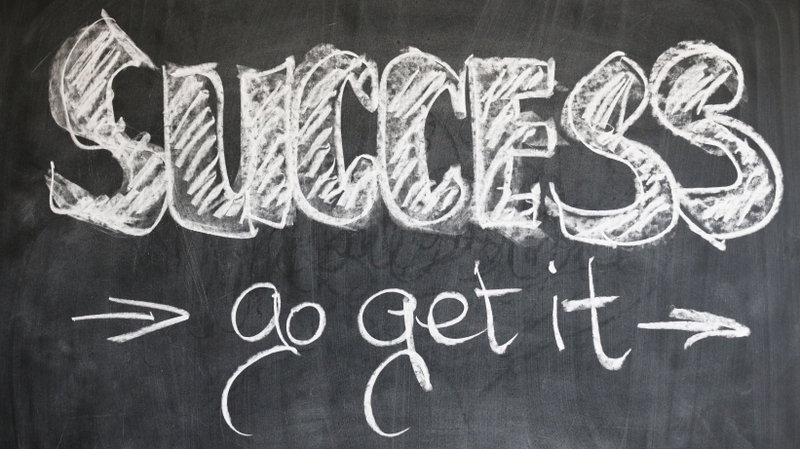 Most helpful of all is booking a session with one of the SBMS’ experienced business mentors for a confidential one-on-one consultation to help you plan for success. Business Mentors are available at the Trader Lounge (266 Victoria Street), every Tue, Thur, and Fri 10am-2pm pop in anytime for a chat, or make an appointment. To view mentor profiles and book go to https://www.sbms.org.au. Click on the ‘I want to book with a voucher’ button. Use voucher code QVM. View the mentors and click on Book with Me to finalise your mentor booking.